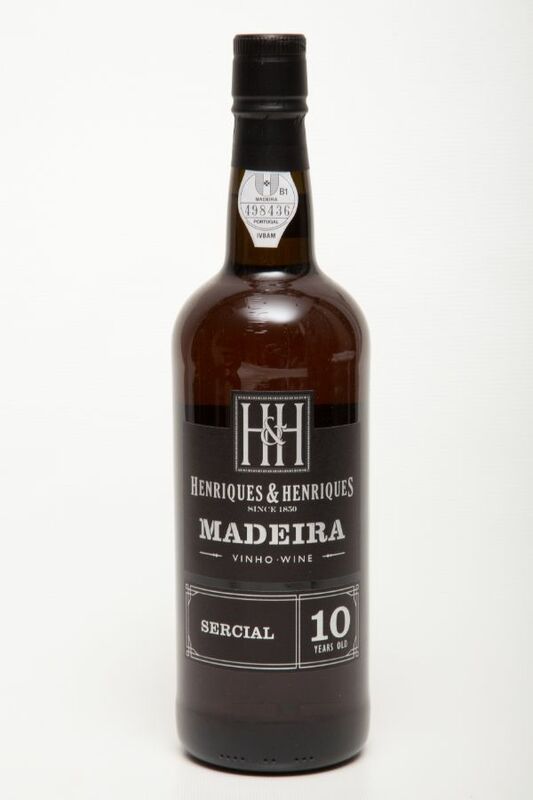 Madeira is a fortified wine that depends upon heat and evaporation to create consistent long lasting styles. The must is fortified, either to arrest fermentation for a Malmsey or a Boal, but in the case of Sercial or Verdelho it is fortified before undergoing its own very special maturation. The Canteiro process is employed for all 10 and 15 year old Madeiras from H&H where the wine is heated naturally in barrels over some months to enhance the concentration and consistency of the wine. Sercial is the driest style and exhibits delicious mouthwatering acidity. Medium amber in color, this is a dry wine with a clean aroma, demonstrating the wines evolution. Reminiscent of brown spices, nuts and citrus peel on the nose. The slightly smoky aroma with walnuts, apricots and vanilla transfers onto the palate with mild acidity and an extraordinarily long finish.